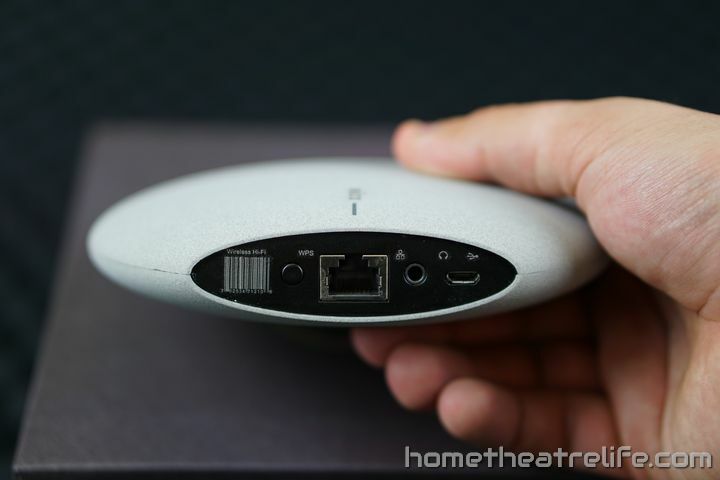 The MUZO Cobblestone is an amazing-looking network music player, controlled via your smartphone or tablet and is suitable for streaming music around your house. Starting as a Kickstarter project by Linkplay Technology Inc. which was successfully funded earlier this year, the MUZO Cobblestone has finally made it to market. 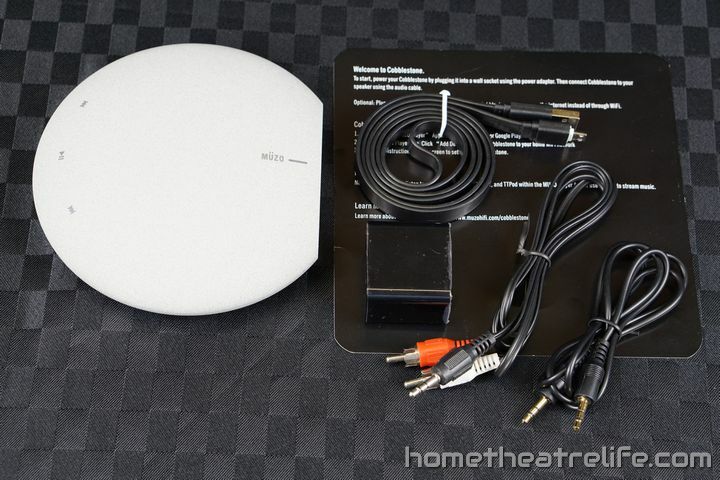 Coming in at under $60, far more economical then competitors such as SONOS, its an affordable way to add a network media player to your home theater setup. 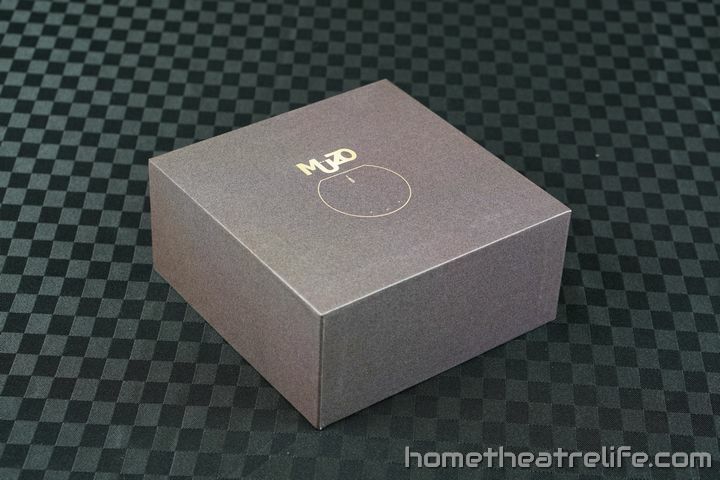 I’m glad to see the MUZO have included both 3.5mm to 3.5mm and 3.5mm to RCA audio cables inside the box, as this covers off most speaker connections. An Ethernet cable wasn’t provided but, given the device supports WiFi and streaming music typically has low bandwidth requirements, I can’t say I’m too disappointed. 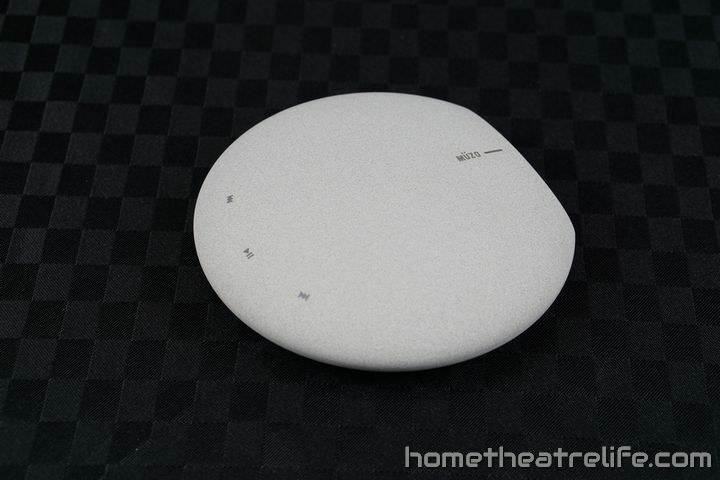 There’s no doubting it – the MUZO Cobblestone is a beautiful music player. MUZO have taken the Cobblestone name seriously and produced a device that looks and feels like a pebble. Whilst it sticks out in comparison to other HiFi equipment, it enhances rather than detracts from the environment. Plugging it in and the device automatically boots, with the yellow power LED lighting up and the media buttons flashing yellow briefly. Setup was simple, with the MUZO app guiding you through the setup. After entering my WiFi password and pressing the WPS button on the device, the player was set up and connected. I wasn’t notified of any firmware updates until I closed and re-opened the app after setup. I was then notified of an OTA update, which was downloaded and installed, with audio cues and the app indicating the progress. The MUZO Cobblestone is controlled via the smartphone apps. Overall, the apps are fairly intuitive and I was able to play music with great ease. Initial tests using a handful of MP3s and TuneIn Radio were successful, with the music streaming from both my phone and the internet without issue. Audio sounded good and, whilst I’m not an audiophile, I didn’t notice any perceptable loss in audio quality. DLNA playback was supported but only when using the Android app. Hopefully, this will be added to the iOS update soon. The only issue I really experienced was AirPlay. Using an iPhone 6 on iOS 8.2, I couldn’t get AirPlay to work. However, there are reports of it working on the forums so I’m hoping this was just a firmware bug and a subsequent update fixes it. I have to say that MUZO Cobblestone is a cool device. Not only does it look amazing, but this tiny network music player offers powerful features such as multiroom audio and smartphone control for a bargain price. If you’re a music lover who wants to enjoy music around the house, its definitely worth the small investment. The MUZO Cobblestone can be purchased from Pandawill. Click here to get the latest price. Alternatively, it is also available from Amazon.